The other month i filmed a speed review on my new GHD Eclipse Stylers because i’d fallen head over heels in love, but now there’s a new kid on the block, GHD’s younger sister The Cloud Nine Touch*. 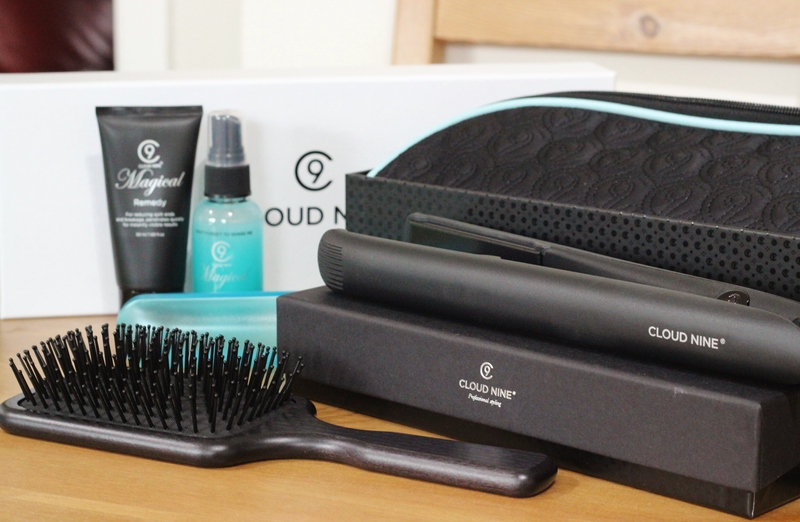 If you think your GHD’s are good then you’re in for a treat with this beautiful piece of hair styling genius because not only is the Cloud Nine Touch smoother, lighter and more streamline that it’s GHD sibling, it also heats up in just FIVE seconds to give you perfect 195oc styling heat. If 195oC is too hot to handle simply touch the plates together three times to turn your stylers down to a more managable 165oC – magic! 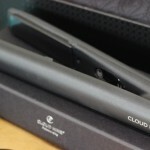 With a swivel cord for styling ease and super smooth mineral infused plates the Cloud Nine Touch iron leaves your hair impossibly silky and bursting with shine, so much so that my GHD Eclipse iron has been lurking in my drawer ever since i got my hands on these, they really are THAT GOOD. At £99 they’re nearly £50 cheaper than the new GHD’s too and sit around the price point i’d look to pay for a new high-end styling tool – these should be on everyone’s Christmas list for sure. They make straightening or curling a complete breeze and i love using them every time. Along with my new straighteners i’ve also been trying out the Magical Duet (£16.90) with 50ml bottles of the Cloud Nine Magical Potion an Magical Remedy – two life saving hair products designed to be used with your new Cloud Nine Touch. The Magical Potion is a lifesaver for girls with long locks like me as it offers amazing heat protection and speeds up drying time by 50%! The Magical Remedy when used as a leave in conditioner on your roots detangles, repairs and keeps your hair looking super smooth between washes. They come gift boxed and would make an adorable stocking filler for any long haired lovely. To go with my new toy i’ve been using the Cloud Nine Professional Paddle Brush (£20) which is great for gently but effectively brushing through thick hair and is heat resistant too. I keep my irons and accessories in the Cloud Nine Style Case (£24.95) which makes for a tidy bedroom and is fab for travelling zipping up and slotting into suitcases with everything in one place! 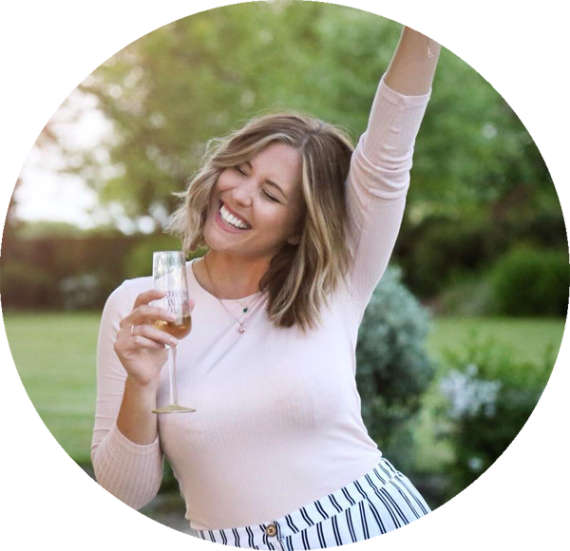 I really can’t recommend the Cloud Nine Touch Irons enough and i’m really impressed with their accessories as well – I’ll certainly be hoping for a bigger bottle of that Magical Potion in my stocking this Christmas. You can take a look at everything Cloud Nine have got up their sleeve on their website here. Have you used the new Cloud Nines?